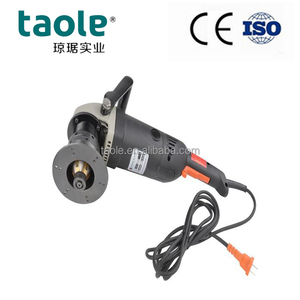 Wuxi Volcano Welding & Cutting Equipment Co., Ltd.
Shanghai Taole Machinery Co., Ltd.
2. We have strong design & technical capacity, we can design and manufacture as per the customer's requirement. 4. Our main products (Includes Welding Manipulator, Welding Rotator, Welding Positioner, Longitudinal Seam Welding Machine) have been approved CE certificate. 5. We have successfully exported to Europe, USA, Middle East, Southeast Asia and so on foreign countries. Zhejiang Wellnit Mechanical Technology Co., Ltd.
Tianjin Beiwei International Trade Co., Ltd.
Zhangjianggang Hutong Machinery Co., Ltd.
Changshu CJ Equipment Co., Ltd.
Jining Shuoyang Machinery Equipment Co., Ltd.
Hangzhou Giantway Import & Export Co., Ltd.
Taizhou Juling Tools Co., Ltd.
Zhangjiagang Baorui Machinery Co., Ltd.
Zhangjiagang Cedar Technology Co., Ltd.
2. The special designed feed mechanism is accurate and reliable, and the intermediate transport station can choose the type of the necessary type according to the outer diameter of the pipe. 10. The guide rail in the head of the machine adopts the casting, which improves the precision by grinding the grinding machine. 3. Q: what about your machine quality and after-sales service9 A:O ur company quality assures safety is the first, many old customers, the after-sale service is the service for you wholeheartedly. Zhangjiagang Youliwei Machinery Technology Co., Ltd.
Dongguan Chine Chern Machinery Manufacturing Co., Ltd.
Zhangjiagang Heshun Machinery Manufacture Co., Ltd.
4. Feed adjustable,speed adjustable 5. Angle Adjustable in range 6. Milling surface reach Ra 3.2-6.3 7. 7 Models with different advantages as per customer's needs. 8.OEM/ODM available as a manufacture with own designing team and developing department. 9. Self-Moving and Cold working 10.High Efficiency milling Cutters with interchangeable Inserts. sanding belt chamfering grinding machinery 4KW . 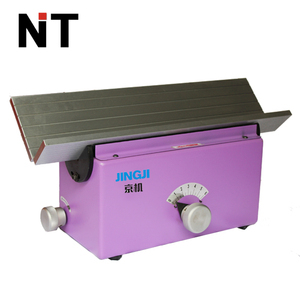 Item: Portable Irregular Chamfering Machine (MT1500-020) Light and portable type. Special irregular material processing MODEL MT1500-020 Space requirement 300mm x 160mm Weight 2.5kgs Voltage 110v/220v , 1 Phase; 50Hz/60Hz Speed 12000 r.p. m Length of guide rails &Oslash; 100mm Height of bevel 0~ 3mm Inner diameter 15mm Package measurement 370mm x 135mm x 130mm A.M.